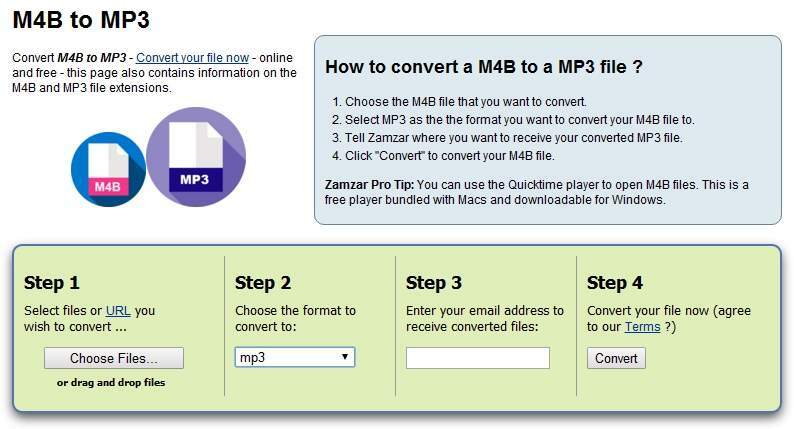 This is a guide to M4B To MP3 conversion. M4B is a common audiobook format which can contain metadata such as book title, author, cover image, chapter, etc. In addition, it allows you to bookmark, which means it can resume from the last listening spot instead of starting over from the beginning. It’s convenient when we play M4B files on authorized computers or Apple devices. But, what if we want to listen to the audiobook on regular, non-Apple devices? The trick is to convert M4B to MP3 since the latter is one of the most popular and widely supported audio format. There is actually more than one way to do the conversion. 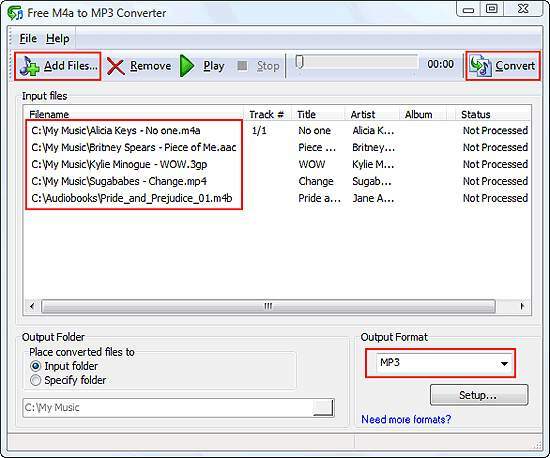 In this how-to guide, you will find three easy methods to convert M4B files to MP3. What is a M4B file? It is a MPEG-4 audiobook file containing audio data, metadata and encoding specifications that make it possible for users to bookmark a specific section of the audio data. M4A is very similar to M4B, but doesn’t allow users to bookmark. M4B files are encoded exclusively with AAC encoding. iTunes and Apple devices have made this format popular. You can buy and download M4B audiobooks from the iTunes Store. A protected M4B file uses FairPlay encryption, a DRM technology developed by Apple, and can only play on authorized devices and computers. To listen to your M4B audiobooks on regular devices and portable music players, you can convert M4B to MP3 or other more popular audio formats. 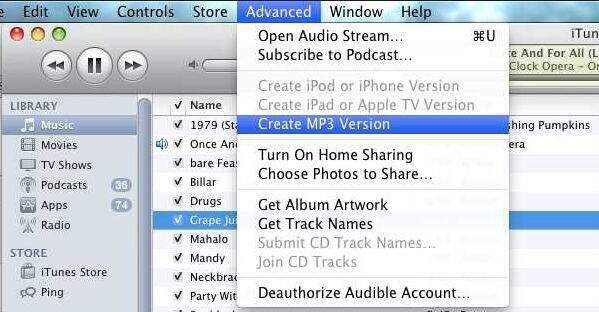 It’s also possible to use recording software to record an audiobook as MP3. When it comes to the DRM protected ones, we need to remove DRM before converting. Below are the three methods to turn M4B into MP3, among which the first one is particularly recommended as it offers the best quality. Many converters including some free ones claim the ability to convert M4B files to MP3. Some of them just don’t work. iFunia Free Video Converter stands out among the M4B to MP3 converters I’ve tried. It’s free and easy to use and currently only available for Mac. If you are a Windows PC user, just move on to check out the recommended software for Windows. This free Mac video converter can fast convert M4B to MP3 with almost no quality loss, convert M4B files to other audio formats such as AAC, M4A, AC3, WMA, WAV, OGG, AIFF, FLAC, etc., convert protected M4B files, cut and audio M4B files, among other things. Step 1. Download and install iFunia Free Video Converter on your Mac. Step 2. Import your M4B or M4A files by dragging and dropping. Alternatively, you can click the media icon at the upper right corner of the software to open the Media Browser and add files. Step 3. Click the RCV button, and the output format window will pop up. Open the General Audio option and select MP3 as the output format. You can also choose the destination folder to save the converted MP3 files. Click the conversion button, and the process to convert M4B to MP3 on Mac will immediately start. After the M4B to MP3 conversion on your Mac is finished, you can play them on any of your devices or players and enjoy the audiobook without limits. It’s easy and convenient. This converter supports batch conversion, so you can convert multiple audiobooks or chapters at the same time. For Windows users, Free M4a to MP3 Converter is a choice. This tool also works for both M4A and M4B. You can use it to turn your audiobooks into files suitable for your favorite devices. In addition to having MP3 as an output format, it also supports WAV. You can add files by dragging & dropping or by adding files. It works smoothly. Below are two other M4B to MP3 converter tools you can try out. Apowersoft Video Converter Studio can do the M4B to MP3 conversion in steps similar to the ones in the above steps. It also has an online version. If the file is large in size. It’s recommended to use the software instead of its online version. TuneFab Apple Music Converter is another choice. After you open this converter, iTunes will automatically open on your computer. Choose the audiobooks you want to convert and select MP3 as the output format. The M4B to MP3 format conversion will start immediately. You can also turn M4B into MP3 online. There are free online tools that you can use. While they don’t provide the best conversion quality, with them you don’t have to install any software. If you are okay with moderate sound quality and slow conversion speed, you can choose to use online tools. All the M4B to MP3 online converters work in the same or similar way. Here I’ll take Zamzar as an example and show you how it works. Step 1. Go to https://www.zamzar.com/convert/m4b-to-mp3/. Step 2. Click Choose Files and add your M4B files. Click the drop-down list and select MP3. Step 3. Enter your email address and click Convert. After the M4B to MP3 converting is completed, you will receive an email with the converted file. If you don’t want to submit your email address, you can use other online tools such as http://media.io/. If you are not a fan of the two methods recommended above, there is still another way. iTunes can be used to convert M4B files to MP3 if the content is DRM free. If it’s DRM protected, a message will pop up telling you that the audiobook is protected. Step 1. Open iTunes on your Mac or Windows PC. Step 2. Add files. Go to Edit > Preferences. A window will opens. Step 3. Click General and then click Import Settings. 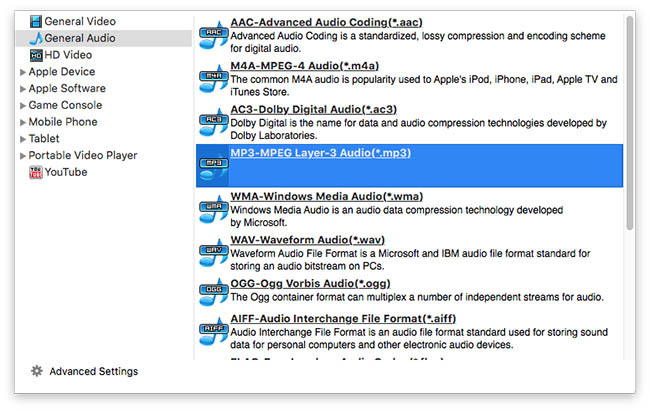 Go to Import Using and select MP3 Encoder. Click OK. Step 4. Go to Advanced > Create MP3 version. Thus a M4B file will be turned into a MP3 one. Now that you know some of the best ways to turn M4B to MP3, you can easily convert your favorite audiobooks and listen to them using any your devices anytime anywhere with little limit. Do you find these methods useful? Hopefully they are of some help to you.